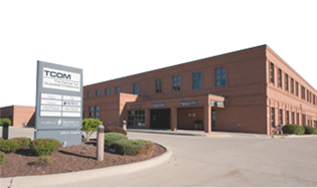 The Center for Outpatient Medicine knows that your medical and health information is personal. We will not give out your medical information in any unlawful, improper or unnecessary way. We keep a record of the care and services you get here to ensure quality care. Illinois law says we must keep these records. This notice tells you the ways we may use or give out medical information about you. We are required to follow this Notice. It also tells you your rights and some duties we have when we use your medical information or give out your medical information to someone else. Do exactly what our current notice says we will do. All offices that are part of The Center for Outpatient Medicine. Our offices share information with each other for treatment, payment or healthcare operations. Only employees who need to give you service can see or use your medical information. There are many ways we protect your medical information from being seen or used by any unauthorized person. Here are the main groups of ways we use or give out your information. We will explain what we mean and give examples. We cannot list every possibility. But all of the ways we can use or give out your information will be in one of these groups. We may use or give out your medical information so that you can get medical care or services. We may give out medical information to doctors, nurses, technicians, medical students or other healthcare workers who are helping take care of you. Example: Different departments may share your information so they can bring together the different things you need – prescriptions, laboratory work, or x-rays. We can use or give out your medical information to an insurance company or a third party so that your treatment and services can be paid. Example: We need to give information about our treatment to your health insurance plan so they can pay us. We may tell your health plan about treatment that you will get in the future so your health plan can determine whether or not it will approve your treatment and pay for it. We can use or give out your medical information to run the office and make sure all patients get quality care. Example 1: We use your medical information to review our treatment and services and decide how well we are taking care of you. We can put together medical information about many patients from our offices so that we can decide if more services are needed, what services are not needed and if some new treatments are working well. Example 2: We can give out medical information to doctors, nurses, technicians, medical students, and other office workers so that they can study and learn from them. Example 3: We may put together medical information from other offices to see how we can improve the care or services that we offer to you. We may remove information that shows who you are from this information so that others may use it to study health care and health care delivery. We may use and give out medical information to contact you and remind you that you have an appointment with us. We may use and give out medical information to tell you about or suggest other possible treatments or ways of treatment that may interest you. We may use and give out medical information to tell you about health related benefits or services that may interest you. We may use or give out medical information about you because we want to contact you and ask you to give money for the office and its business. We give only your name, address, telephone number and the dates you visited our office. You have the right to “opt-out” of this type of contact. We may put in some medical information about you in the office’s daily schedule. This might be your name and the reason why you came to see the doctor. We will ensure that the office schedule is not seen by patients or other people who do not need to see it to do their jobs. We may give your medical information to a friend or family member who is involved in your medical care or helps pay for your care. We may tell your family or friends about your condition. We may give out your medical information to help in a disaster relief effort so that your family can find out where you are, and how you are. In some cases, we may use or give out medical information about you for research projects. Example: A project might compare medicines to see which is better. Information about which patient took which medicine would be necessary. Before we give researchers any medical information, the project must have approval. Sometimes, however, medical information can be given to help get ready for a research project. We will almost always ask you for permission if the research needs information that tells them your name, address, or other information that tells who you are or who will be working on your case. We will give out medical information about you when federal, state or local law requires us to do so. We may use or give out medical information about you if it is necessary to prevent serious threat to the health or safety of you, another person or the public. We would give out this information only to someone who could help. Organ and Tissue DonationIf you are an organ donor, we may give out medical information to the organ donation bank. Military or VeteransIf you are in the armed services, we may give out medical information about you as required by military authorities. We may give out medical information about foreign military personnel to the appropriate foreign military authority. Workers CompensationWe may give out information about you to programs that pay for work-related injuries or illness. To notify the appropriate government authority if we think a patient has been a victim of abuse, neglect or domestic violence. We will only give out this information if you agree or when we are required or authorized by law to do so. Health Care ActivitiesWe may give out medical information for audits, investigations, inspections and licensure. These activities are needed for the government to monitor the healthcare system. Lawsuits and DisputesIf you are involved in a lawsuit, we may give out medical information about you to respond to an order issued by the court or administrative bodies. We may also give out medical information in response to a subpoena, discovery request or other legal process. We will try to tell you about these kinds of requests, but only if an effort has been made to tell you about the request or to obtain an order protecting the information requested. For concerns of national security. InmatesIf you are an inmate of a prison or under the custody of the police, we may give out your medical information to the prison or the police. The medical information would be given out to the prison to provide you with health care or to protect your health and safety or the health and safety of the prison. Coroners, Medical Examiners and Funeral DirectorsIt may be necessary for us give out medical information to a coroner or medical examiner in order to identify a deceased person or to determine the cause of death. We may also give out information about patients to funeral directors if it is necessary for them to do their duties. Other uses of medical information not addressed in this notice or covered by laws that we must follow, will only be made with your written permission. Examples include: psychotherapy notes, marketing purposes and the sale of protected health information. You can take back that permission at any time by writing us a letter. If you do take back your permission, we will no longer use or give out your information for the reasons contained in the authorization. You must realize that we are unable to take back any information we have already given out with your permission and we must keep our records of your care. To Give Permission for Use: You have the right to give us permission to give out medical information. To give us permission, you must fill out and sign an appropriate authorization form. To Inspect and Copy: You have the right to look over and obtain a copy your medical information. Usually this includes medical and billing records. Mental health records may be protected by laws that are stricter than HIPAA.To look over or to get a copy your information, you must write us a letter and ask to do this. If you want a copy of the information, we can charge you for copying, mailing or other supplies connected with your request. In certain very limited situations, we may turn down your request to look over and copy your records. To Amend: If you feel that the medical information we have about you is incorrect or incomplete, you may ask us to change the information. You have the right to request a change for as long as we keep the information in our office.To request a change, you must write us a letter and tell us what the change is and why you want the change. Information is correct and complete. To Request Private Contacts: You have the right to ask that we tell you about medical matters in a certain way or at a certain location. To ask for private communications, you must write us a letter and tell us how or where you wish to be contacted. You do not need to tell us why you want it this way. We will try to honor all reasonable requests. For example, you can ask that we only contact you at work or through the mail. To Receive a Paper Copy of this Notice:You have the right to ask us for a paper copy of this notice at any time. Even if you have agreed to receive the notice through the computer, you have the right to get a paper copy. To get a paper copy of this notice, write to us or print one off our website. To Get an Accounting (List of Uses): You have the right to ask us for a list of all the uses of your medical information that happened after April 14, 2003. You must write us a letter indicating a time period, which may not be longer than six years and may not include dates before April 14, 2003. Your request should indicate in what form you want the list (for example: on paper or electronically). The first request within a 12-month period will be free. For additional lists, we may charge you for the cost of providing the list. If you pay for treatment in full out of your own pocket, you may ask us to not send that information to your insurance company. You have the right to be notified when your medical information is used inappropriately. We have the right to make changes to this notice. We have the right to make the changed notice effective for medical information we already have about you and any medical information we get in the future. This notice will be visible in our office and on our website (www.centerforoutpatientmedicine.com). The date that it became effective will be listed in the top right corner. We will ask you if you want a copy each time you visit our office. If you think your right to privacy has been violated; you may make a complaint with TCOM or with the Secretary of the Department of Health and Human Services. To make a complaint with the TCOM, you must write us a letter. There will be no penalties for making a complaint. If you think your right to privacy has been violated; you may make a complaint with the office or with the Secretary of the Department of Health and Human Services. To make a complaint with the office, you must write us a letter. There will be no penalties for making a complaint.